Ginae Says has dealt with Dr.'s Remedy (Enriched Nail Polish) before. We know the product and are familiar with company values. Now, we are pleased to announce a collaboration and a giveaway, in recognition of Breast Cancer Awareness Month. Dr.'s begins that collaboration with a launching of, "The Power of Pink" Collection. The collection consists of seven brilliant hues. 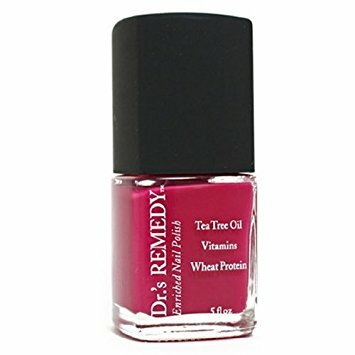 For the remainder of this month, Dr.'s Remedy, is offering free shipping on all orders with a pink polish. Ten percent of these sales will be donated to the organization, Living Beyond Breast Cancer (LBBC). Simple. Simply use this code; FREE4PINK, when ordering. Oh, we almost forgot. We are giving away the Focus Fuschia bottle, as pictured up and to the right of this paragraph. Just enter. You might win. We mean, someone will win. It could be you. Dr.'s REMEDY offers over 30 different shades of nail color along with nail care products such as base coat, top coat, cuticle care and a nail hydration. Each product is infused with a special blend of ingredients selected by Dr. Cirlincione and Dr. Spielfogel. This blend includes: wheat protein, tea tree oil, garlic bulb extract and lavender. Dr.'s Remedy products do not contain formaldehyde, formaldehyde resin, toluene, camphor or pthalates or DBP. 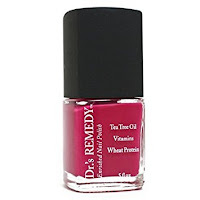 Dr.'s REMEDY is the best alternative to traditional nail polish.